If you are planning a trail running holiday or training for a long-distance running event, you’ll need a pair of trainers that are up to the job. We suggest three different trail running shoes that offer a range of important criteria, including good fit, support, cushioning and off-road grip. 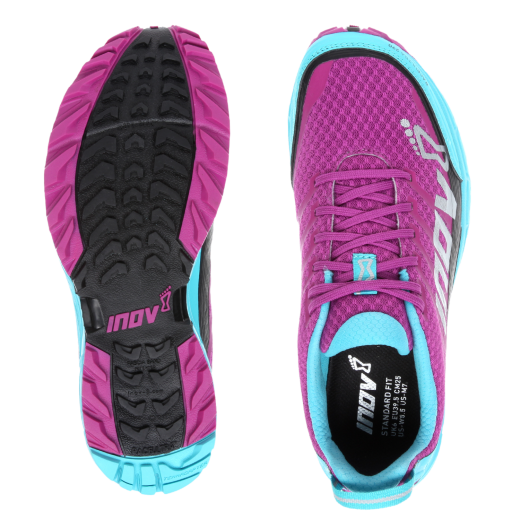 Inov-8 have led the way in trail running shoes since they launched in the UK more than 10 years ago. The collection of off-road – and also on-road – footwear continues to expand. The new Inov-8 Race Ultra 290 shoes are ideal for long-distance training (as well as racing or holidaying). The lightweight shoes are ideal great for running on hard-packed trails and offer great comfort thanks to lots of underfoot cushioning and good grip. 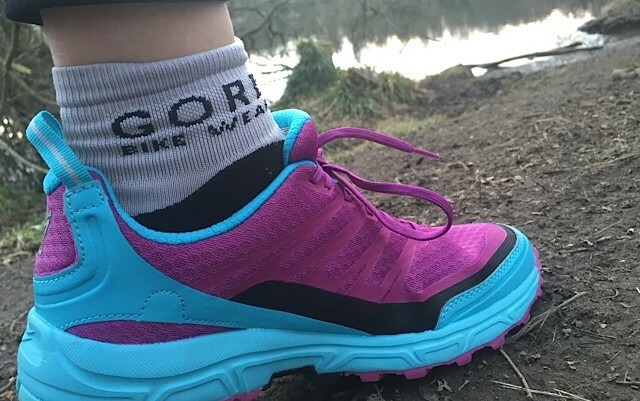 You can add a gaiter (buy from Inov-8 for an integrated gaiter) for debris-free running (the gaiter stops debris from getting down into the top of your shoes and irritating your feet). Priced around £75 on-line in both male and female fit. See Inov-8. The upgraded Peregrine has a new PWRTRAC outsole for “traction to conquer any terrain” and “EVERUN” heel insert for extra cushioning comfort over longer distances. The shoes are meant for muddier or softer terrains where grip is important. 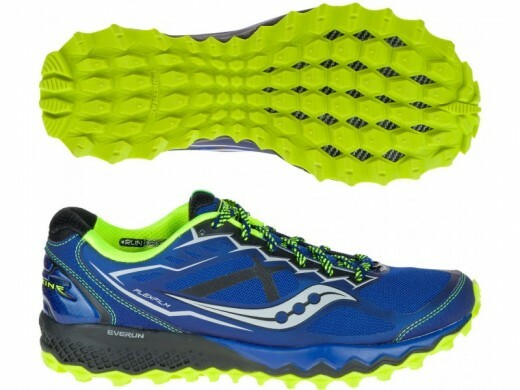 Despite offering great cushioning depth in the soles the shoes are still quite lightweight. They also have a good “rock plate” for protection form debris, such as stones and rocks, when out on the trails. The shoes are great to wear and offer superb grip. If you have a normal to wide foot these would be a good choice. They come in male and female fit, sizes and colours. 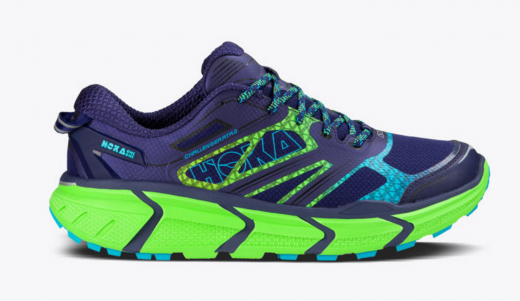 HOKA ONE ONE footwear is renowned for being super lightweight and super-cushioned and the latest update of the Challenger shoe offers exactly this. For 2016, the Challenger ATR 2 has a more supportive fit through the midfoot and increased comfort across the top of the foot. The “early stage Meta-Rocker” remains unchanged to provide a smooth run, while the 4mm lugs give all-terrain traction. These would be ideal for fairly easygoing trails. The shoes, weighing from just 220g, can be worn on road as well.